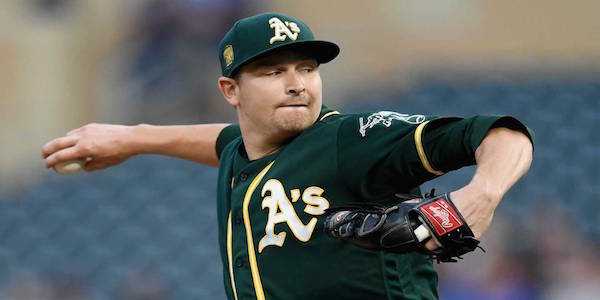 Free agent Trevor Cahill signs a one-year deal with the Los Angeles Angels worth $9 million. For the Angels, it’s the perfect deal in a sense. Ohtani won’t be pitching for them in 2019 so this can see them through the season without tying them down to anything long term. If they’re out of contention mid-season, Cahill could also offer up a decent trade chip to any contending team. Now I’m making It sound like Cahill is a top Major League pitcher and that’s because when you look at the 2018 numbers, he was pretty close to it. Heading into 2019, Cahill is one of those trendy sleepers we hear about all the time. But even as a late round dart throw, you could probably do better elsewhere. Let’s first address the elephant in the room; health. Skaggs threw 125 innings in 2018 which was a career high, Heaney only throw 45 innings in 2016/17 combined, Harvey failed to reach 100 innings in 2016 and 2017, Cahill’s 125 innings pitched in 2018 was his highest since 2014 and Barria and Pena have 81 Major League starts between them. So, there’s no reliability here which does mean a discount in drafts. The number in brackets beside each pitcher above is their ADP on live NFBC drafts (through 76 drafts). Heaney’s body of work last year gives us the most confidence in who to draft but when it comes to value for money, you could argue that Cahill offers us most with his current ADP. As mentioned, volume isn’t something you can expect to get from Cahill, but that is built into his current price. Spending a dollar or a last round pick on him means any positive result you can eek out of him will be a bonus when we look at Cahill’s underlying numbers. In 2018, Cahill threw 110 innings over 21 starts (which is only just over 5 IP per start). Not ideal. The Angels bullpen were pretty middling last year and while the addition of Cody Allen should help, Cahill doesn’t go deep enough into games (completed 6 innings eight times and failed to get through 5 innings six times) to minimise the support he needs for wins. The Athletics scored 92 more runs than the Angels in 2018 so his run support isn’t going up either. Cahill’s 3.76 ERA is good however and was no fluke. Cahill had a 3.54 FIP which means he was actually a tad unlucky. Cahill struck out 100 hitters over those 110 innings too which is better than average and allowed just 8 home runs giving him a 0.65 HR/9 rate, 8th among pitchers with 100+ innings. According to ESPN, Oakland has the third best pitchers’ ballpark for home runs whilst Anaheim Stadium is seventh worst meaning Cahill is going to a vastly worse situation for pitching. When you consider Cahill’s home / road splits, that makes for an even bigger red flag as he managed a 1.84 home ERA compared to 6.41 outside of Oakland. He certainly made use of his surroundings. Cahill also had a 3.35 BB/9 rate which was 98th among the 140 pitchers who threw 100+ innings last year. 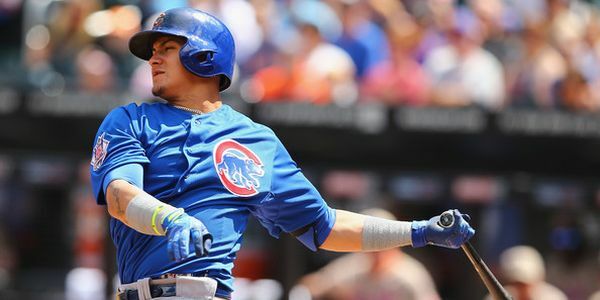 His career walk rate is 3.67 BB/9 so last year was only a moderate improvement. You may look back at 2016, see Cahill’s 2.74 ERA over 65.2 IP and think that there is more to last year than a good ballpark. It’s worth noting that he only started one game that season and the other 48 appearances were from the bullpen. That makes a strong case for Cahill to be used predominately in relief. All in all, I’m likely keeping my distance from Cahill in standard leagues (10 and 12 teams). I’d be unlikely to draft him in 14-team leagues either. In AL-only, Cahill is a late round pick at best. If you are inclined to take a stab on him, your best option will be to hope for a few solid starts and then trade him away. I’d much rather take Barria as a speculative pick and bank on second year improvements.